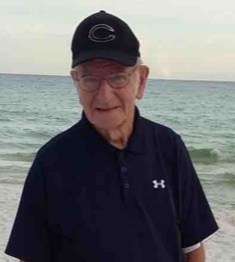 Raymond W. Wilcox, 87, of Davenport, died Monday, February 11, 2019 at his home surrounded by his family. A celebration of Ray’s life will be held at a later date. Keeping with his wishes, cremation rites have been accorded. Raymond William Wilcox was born on November 25, 1931 in Davenport, a son of Ray and Mildred Ruth (Stacy) Wilcox. He served our country in the Army in the late 1950’s. Ray was united in marriage to Judy Pelham. She preceded him in death on November 23, 2009. Ray worked for over 30 years for the U.S. Postal Service, retiring in 2001. Ray was devoted to his family; he especially enjoyed his grandchildren and his canine companion, Leo. He also enjoyed sitting outside enjoying a cold Blue Moon. Survivors include his son and daughter-in-law, Patrick and Dawn Wilcox, Davenport; grandchildren: Desiree Wilcox, Austin, Texas, Taylor Wilcox, Brian Wilcox, Kate Wilcox, all of Davenport, Ashley Richmond, Olivia Richmond, and Zach Richmond, all of Bettendorf, Amanda Richmond, Moline; Jesus Liendo, Maliq Pruitt Wilcox, and Tanica Ware; siblings: Betty (Kenneth) Johnson, High Point, NC, Rosella (Randall) Mumm, Evelyn (Everette) Bates, and Warren (Nancy) Wilcox, all of Davenport, and many nieces and nephews. In addition to his wife, he was preceded in death by his parents, and siblings: Louis and Leonard Wilcox, and Viola Behrens, and Elsie Burton. A special thank you to Jesus for taking such great care of Ray while Pat and Dawn were working.